Carla Scheer — that student’s mother — has been making blankets for SANE/SART (Sexual Assault Nurse Examiners/Sexual Assault Team), a program Wesley Medical Center started in 2013 to help victims of sexual assault. 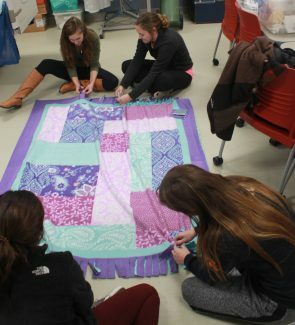 Students make a blanket for SANE/SART at Wesley Medical Center. 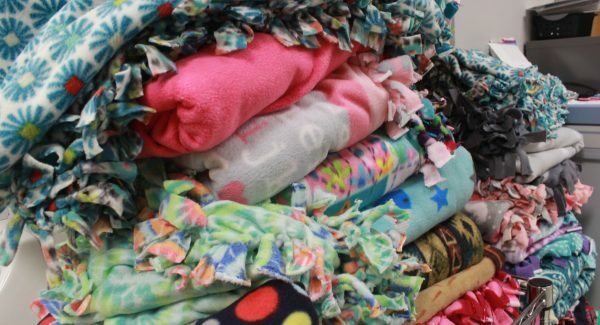 Siple said the response from the students the first time they made blankets for Scheer was so positive, she decided she would offer the same opportunity the following semester. And then from there, it just stuck. 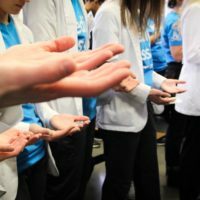 The project had an extra special meaning to Ashley, one of the current nursing students who volunteered to help out this semester. 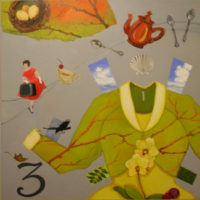 She was once on the receiving end of this project. She said she still uses the blanket regularly and it is particularly popular with her young son. 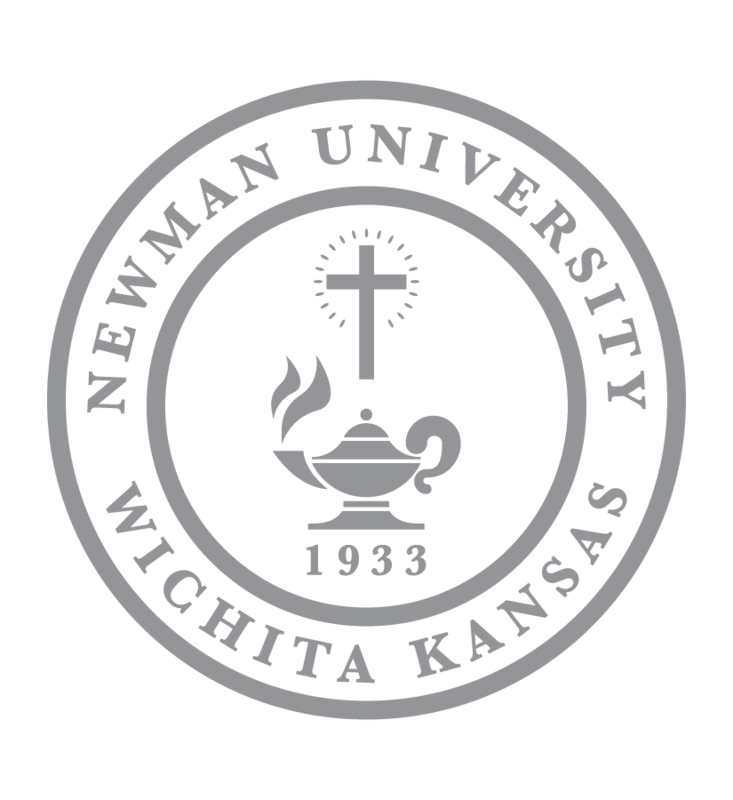 Ashley said since coming to Newman, she has grown in her spiritual connection with God. She said the best part of making the blankets is actually praying over them when they are done. 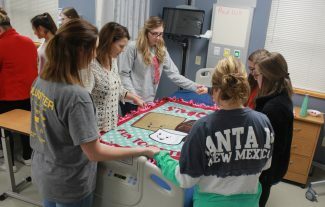 Associate Professor of Nursing Amy Siple leads a group of students in prayer over one of the completed blankets. Junior Angela De Souza is currently part of the nursing program at Newman and said this was her first semester helping with the blankets. The students working on this semester’s project approached Siple after asking why they ran out of material as quickly as they did. 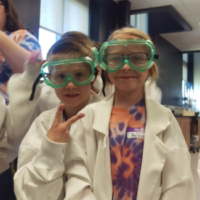 Siple explained they just didn’t have the money to purchase more material at the time. After hearing that response, student Nikki Miller decided to take action.